Small, medium and micro enterprises (SMMEs) in the insurance sector have found themselves in dire straits in recent years. Loss of employees and skills due to dissatisfaction with FAIS (Financial Advisory and Intermediary Services Act) compliance regulations, lower-than-expected economic growth, and increased competition from larger corporations that are moving into the micro-insurance market, are all creating difficulties for small businesses. 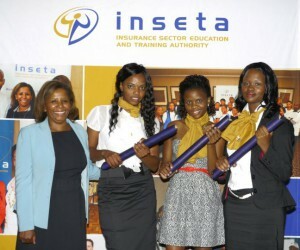 In a bid to help them overcome these challenges, in January 2012 the Insurance Sector Education and Training Authority (INSETA) introduced a pilot SMME learnership programme to support work-based experience and help the sector grow its own skills. The leanerships offer participants 12 months of work experience, FAIS compliance, and a National Qualifications Framework Level 4 qualification. 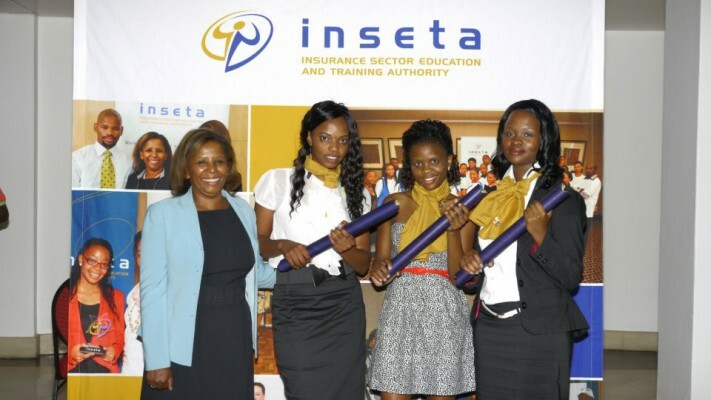 The 2012 inaugural INSETA SMME learnership class has now graduated, with a total of 102 learners having completed the programme, and 64 of these immediately finding full-time employment or contract work across 60 different SMME insurance organisations. She believes learnerships not only speak to the needs of the SMMEs, but also to that of new matriculants in general. “The department of higher education has created an increased sense of urgency for the Setas to create more direct links with the workplace. School leavers are often left with little or no opportunity for higher education, and are forced to take any unskilled employment that is available, with no room for development. This continues to exacerbate the lack of job creation and hinder transformation,” she says. Learnership programmes circumvent such issues by offering work experience and an income, while at the same time giving matriculants invaluable sector skills and a qualification that ensures development of both the individual and the sector itself. “Even if employment is not gained with the company that the learner is initially placed in, the industry-specific skills training means the insurance sector gains a solid foundation of skilled, experienced professionals, and gives them an opportunity to accelerate their career, and at the same time provide the country with a desperately needed, skilled workforce,” Dunn says. Dunn believes the effects of the learnership programme could be far-reaching, and INSETA plans on running more such SMME programmes in the future. “There is a great need for training of this nature in the insurance sector; small businesses and skilled training are key ingredients for growth and development in South Africa. With this programme, we aim to develop skilled employees who can put their organisations on the path of sustainable success, who can innovate and create new products and services, and thus create even more jobs in the long run,” she says. A total of 60 organisations across the Free State, Eastern Cape, Gauteng, Western Cape and KwaZulu-Natal hosted learners, and the in-house training was run by the African Resources Training Group, which helped develop the learnerships.